Are you interested in joining hundreds of dedicated animal lovers and making a positive difference in the lives of homeless animals? Then consider joining the Hopalong Animal Rescue team! Your time is an incredibly important resource. Volunteers are an integral part of our rescue, and play important roles in the day to day operations of Hopalong. 3) Register for an orientation. We have two per month in our Oakland and our Marin offices. To register for an orientation in our Oakland office: Click Here! To register for an orientation in our Mill Valley office: Click Here! 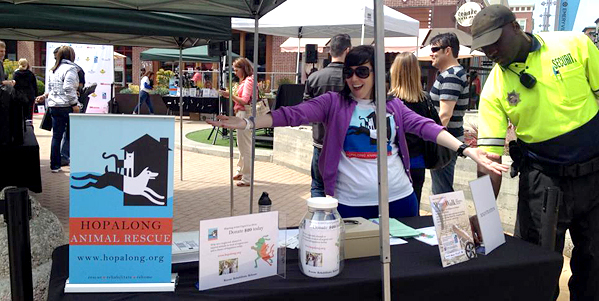 Contact Director of Volunteer Services Dani Clark at (510) 267-1915 ext 103 or dani@hopalong.org. Become a FIVE MINUTE Volunteer! No orientation or training required! Spread the word about Hopalong and feel good at the same time. It takes just 2 minutes to “Like” our Facebook page, follow us on Twitter or add us on Google Plus…. Like social media? So do we! We have an ever-growing Facebook presence. We post news, photos, videos, and weekly “featured animals” for adoptions. Type Hopalong Rescue in the Search field at the top of your Facebook page, or paste this URL into your browser’s address field: https://www.facebook.com/hopalongrescue. Add us to your circles on Google Plus by clicking this link. Add an adoptable animal to your email signature! Click on the icon that looks like a mountain range, it will ask for the web location for the image you want to use. 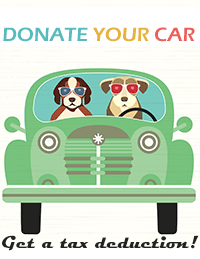 Pick an adoptable animal from our website. Find the location by right clicking on the image and selecting “view image info”. You will need to copy and paste the location information into the box requesting it in your google settings. Once that is done, please write the name of the animal and that it is available for adoption through Hopalong Animal Rescue. Please hyperlink back to our website: click on the image that looks like two linking chains, and paste the following code in the available box. Visit CardLabConnect. $25 after first purchase goes to Hopalong. 1% of each purchase is donated to Hopalong! Thank you for your support – please pass this information on to your family and friends and ask them to become 5-minute volunteers, too! Volunteers, the animals need you! If you are interested in helping out, please register for an orientation. Our Volunteer Coordinator will call you to schedule an orientation.